To ensure smooth processes within your company and to make sure that all your vessels are seaworthy, a variety of certificates are necessary. The Certificates module helps you to achieve this goal as comfortable as possible. It provides you with various options for a certificate types setup, such as pre-warning periods, categorization on revalidation (on expiry, annual or intermediate surveys), definition of port- or flag-state requirements, or the assignment of responsibilities. 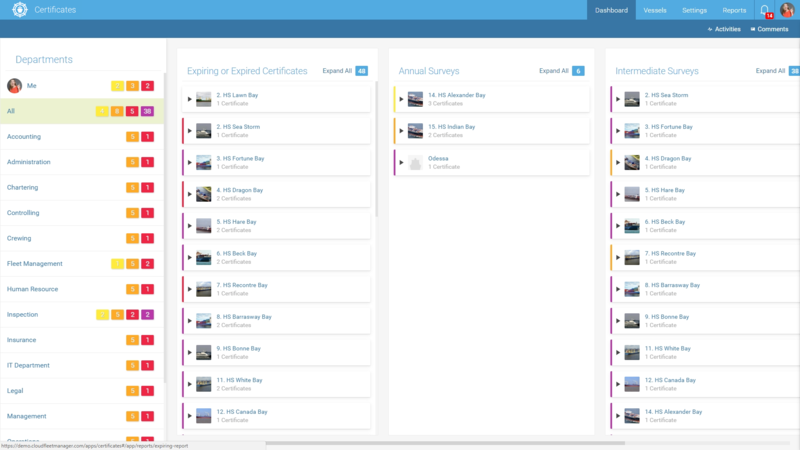 The certificate dashboard shows the status of each certificate of every vessel, that you, your department, or all departments are responsible for. Meaningful icons and colour codings give you all that is needed to prevent your certificates from expiring. To round things off, all certificate details and attachments are available for any other department or external partner via the portal and partner portal. In addition, your crew on board can actively participate on certificate management and revalidate certificates which were issued on board. The expiration of certificates caused by a missing overview, internal miscommunication or misplacement of information is a thing of the past. With the assignment of responsibilities and intelligent reminders, CFM Certificates prevents certificates from expiring and that their update is forgotten. In the Certificates module, you can assign the responsibility for certificates directly to departments or vessels. 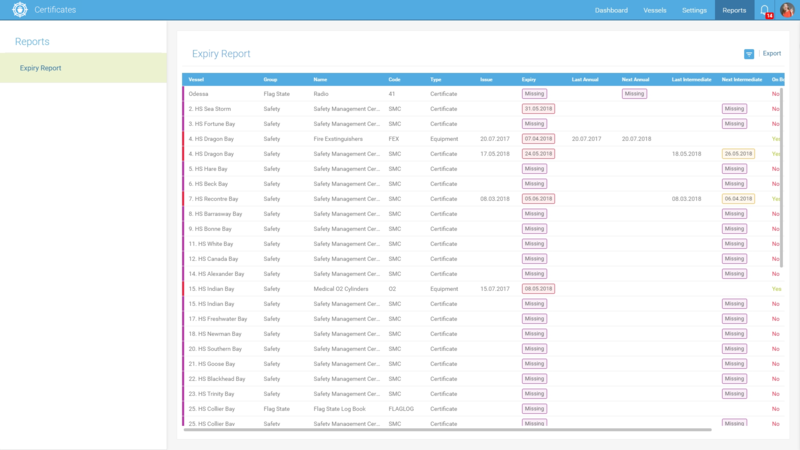 With the integration of Cloud Ship Manager, several certificates can be maintained and administered by the crew on board. 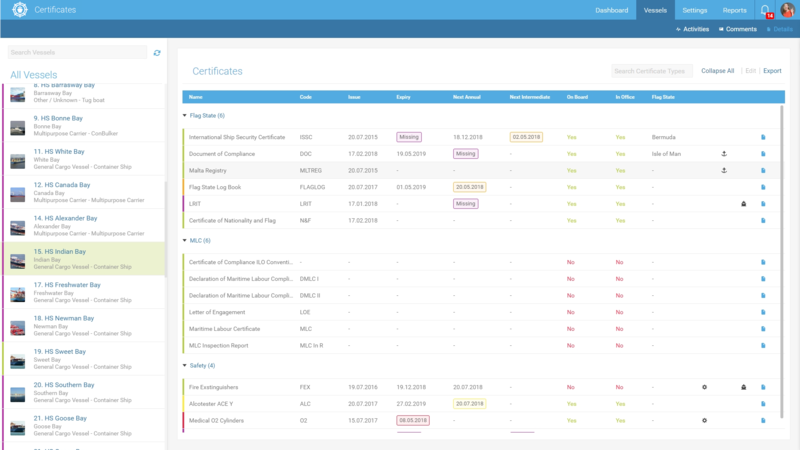 The dashboard gives you an overview of all certificates. At first glance it is obvious, which certificates are up to date, which will expire soon or have already expired. Moreover, it is obvious which ones are totally missing. Like in all our other modules, a variety of reports is available. For instance, the Expiring Report evaluates which certificates will expire soon or already have expired and visualises the data clearly. With Cloud Ship Manager, the fleet is directly integrated into the certification process. Reminders for soon expiring certificates support you to keep an eye on their actuality and to operate timely. 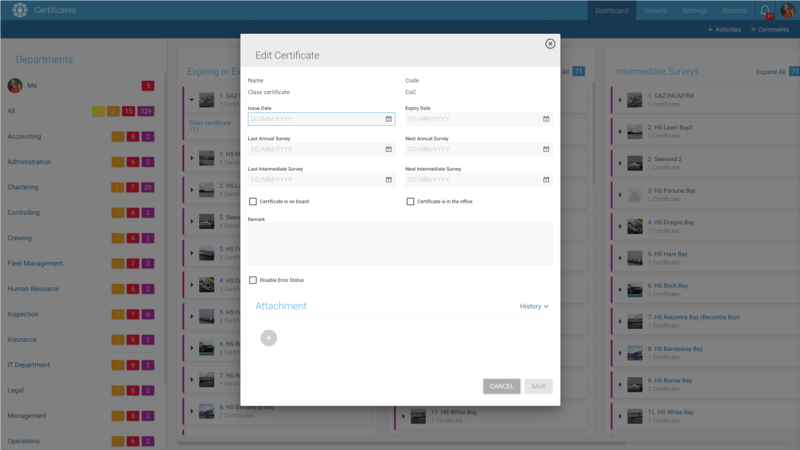 Assign responsibilities for certificates directly to employees or departments. Curious to learn more about Certificates?